If you live in an area that experiences frigid winters and you have a septic system, there are problems that can arise during those colder months. Luckily, there are some steps you can take to avoid issues like emergency septic pumping due to a backup during the winter. Following a preparation plan in the fall can help you curb any potential problems, but being proactive even when the temperature has dropped can make a difference, too. Add new mulch near systems that do not have adequate grass cover. This will keep snow melt from saturating the ground and causing flooding resulting in the need for emergency septic pumping. Mulch will also add insulation to your system so that underground pipes won’t freeze. Before the temps drop, make sure your system is thoroughly inspected, and if needed, repaired. Leaks can prove particularly damaging when winter hits. Also, make sure all pieces are insulated properly. Natural Insulation. Never use anti-freeze or chemicals in your septic system to avoid a freeze. If you insulate your system properly, either with grass cover, mulch, or even wild flowers, you won’t need to use anything else that could become potentially hazardous or damaging. Chemicals can disrupt the balance of bacteria in your system and make a small problem much bigger. If you didn’t get a chance to prep, you can still take steps to avoid disasters during the winter. The main thing is to make sure parts of your system don’t freeze and cause a back up resulting in the need for emergency septic pumping. Know where your septic tank and drain field are and make sure to keep snow plows off them. Plows could damage the ground which, in turn, can damage your septic system. Hot Water. When the temperatures drop below freezing for an extended period, be sure to frequently flush your system with hot water. You can do this by planning your laundry, dishwasher cycles, and hot showers so that your system gets a dose of warm water frequently throughout the day and evening. Don’t Drip. Keeping faucets dripping may help you avoid frozen pipes in the house, but doing this for your septic system will cause more harm than good. A gradual stream of water can overload a septic system which will actually cause pipes near the exit to your home to freeze. If you do find yourself in need of emergency septic pumping, or any septic service, call us right away at 570-828-7444 or contact us online! We’re here to help and get you back to normal. Septic Medic is serves Pike County, PA, Delaware Township and surrounding townships. Septic tanks serve a purpose that is not always apparent to those who live in highly populated or densely populated areas. Neighborhoods and homes that are located in these areas often have the benefits of sewer systems that are able to flush away and eliminate any waste water. But what about homes that are in less populated regions, or don’t live in a part of a town or city that offers a sewer line connection to their home or property? This is where septic tanks come into play; a homeowner with a septic tank, however, needs to be aware of some septic problems that may crop up, especially if regular maintenance and check-ups are not performed. So how is a leach field problem then fixed? There is no “quick-fix” unfortunately, but the good news is that by process of elimination and with the help of a septic repair company that has years of industry knowledge, it can be diagnosed with ease. One of the first methods one can employ is actually prevention: preventing this from happening in the first place by getting septic tank draining on a regular basis, having your system checked at least once a year by a professional and determining your needs based on your system usage. A next step is to check if there is a clog in the system somewhere, either in the drainpipe that leads to the field, or something further up the line that could be causing the system to become overloaded. 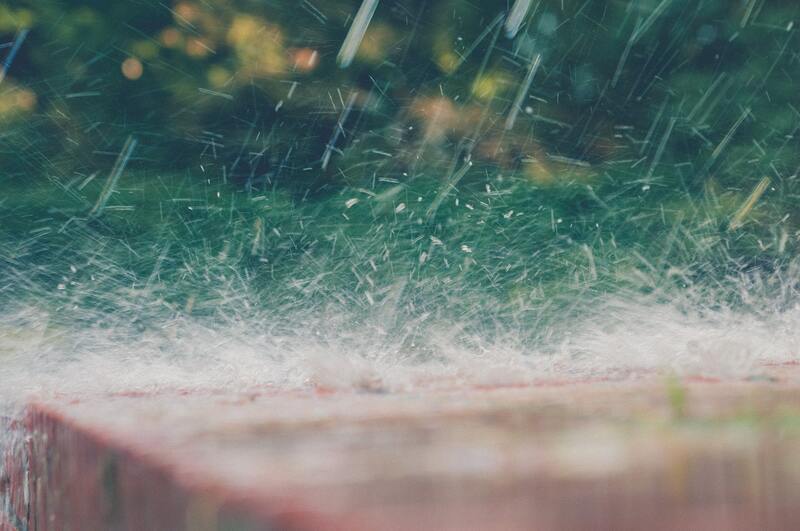 Sometimes it requires a new trench system to replace the current one so that it drains better and more efficiently, or you may even need a septic tank replacement. Other times, you will find that it is a quick and simple fix. Ultimately, it depends on the nature of your particular septic tank setup and how your lawn is set up. Septic Medic will diagnose septic drain field problems and perform leach field repairs quickly and efficiently. 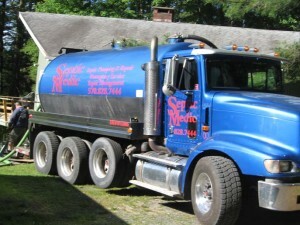 Contact Septic Medic to discuss installation, maintenance, repair and replacement services for your septic tank system. Living in the Bushkill Falls region of Pennsylvania definitely has its perks. It has been called the “Niagara of Pennsylvania”, and the region includes some of the most beautiful waterfalls, rivers and streams you can find in the area. Located in the region of the Poconos Mountains, the actual park was founded and open to the public in the year 1904. The actual Falls are still owned by the original family, which is a great thing to experience in our modern society. It is a deeply wooded region, and most individuals who live here tend to require the usage of septic tanks. However, as beautiful as this region is in Bushkill Falls, it does not come without its share of septic problems. As with any heavily wooded region, there are some elements that you need to be able to watch out for, especially when it comes to keeping your septic system in top shape. As with any septic tank system, it is important to make sure that your system is consistently inspected and kept up to date. This includes regularly having a septic repair company perform yearly inspections to make sure everything is functioning properly and identifying any potential issues early on, as well as performing tank draining and cleanings. The leach field is essentially where the runoff from the tank is purified and eliminated, but sometimes this area can become backed up, especially in a region such as Bushkill Falls. Excess water can cause draining issues, and it’s also important to make sure that you aren’t overusing your system as well. Yes, Bushkill Falls is a heavily-wooded region of the Poconos, and you need to be aware of any trees that could encroach on or near your septic system. Large trees can unfortunately be a risk when it comes to their roots, which can push under and through the soil, causing breaking or bending of the pipes that come out of your home. It can also impact the actual septic tank as well, so be sure to consult with your septic tank professional on the dangers of the trees on your property, as well as determining which ones may need to either be moved or at least addressed. 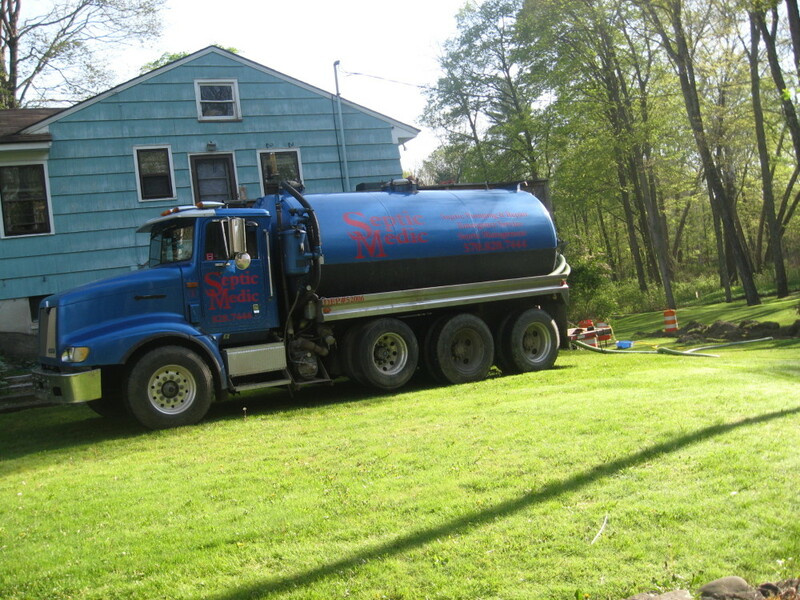 Altogether, the Bushkill Falls region is a wonderful place to live, and with the right and proper septic tank repair and maintenance, you will be able to enjoy a trouble-free existence on your property. Make sure to invest in regular inspections of your system, and you will do just fine! Millions of Americans rely on septic tanks each and every year in order to help eliminate harmful biohazard products and wastewater that flow from the usage in their homes. While these systems are genuinely trouble-free as long as they are taken care of in a responsible manner, there may be times when an individual may experience a clog within their septic system. 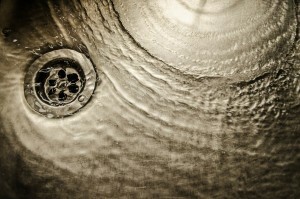 What should you do in order to unclog a drain or septic system? Not many individuals are familiar with how to troubleshoot a septic system, especially when they are unsure where the clog is taking place. Let’s take a look at a few common ways to address this particular issue. One of the first steps to take is to determine if you actually have any damage to your system as a whole. A professional septic tank repairman can scope out the tank with a special camera in order to determine if there is any issues. While more often than not, the issue will be due to waste or material that has accumulated over time, it is a good idea to be able to check out the system as a whole first. Another step to take is to ascertain that there has been no draining or dumping of harmful chemicals or products that could have either clogged or disabled the functions of a septic system. In many instances individuals with a septic tank installed will often not realize or not remember that they cannot treat their system the same way you would as with a public sewer system. Items such as “flushable wipes” more often than not are not meant to work with septic tank systems, and have difficulty breaking down in addition to potentially clogging up pipes or the tank itself. Over a period of time, they could build up until there is a large mass of nearly-intact wipes that have never dissolved and you’ll have to have your septic system pumped out. Using certain chemicals to clean your drain pipes in your toilet or sink and shower can also become problematic unless you have checked that they are safe for use with septic systems. The more serious chemicals can actually break down the good bacteria in your septic tank, leading to further issues and problems down the line. So once these issues are accounted for, you can move on to the next step, which is to check the plumbing within the building or home. This would mean checking the various fixtures throughout the home, on the ground floor and any upper floors. There could be an issue somewhere else that is wreaking havoc and ultimately creating this issue. Checking outside the home can be another helpful way to determine the root of the problem. For instance, check outside for any trees with large roots that could be pushing or creating pressure on underground pipes. In addition, check the leach field to see if there is standing water that is unable to drain. This could be an issue at the last end of the septic system process, and it is an important one. Septic problems can come in all shapes and sizes, which is why it is doubly important to invest in the services of a professional who knows how to deal with problems with septic tanks. Quality and service are Septic Medic’s top priorities. We will quickly and efficiently troubleshoot and diagnose clogged septic tank systems and leach field problems in Pike County, Delaware Township, and many other areas in Northeastern Pennsylvania. Contact Septic Medic online or call 570-828-7444 for maintenance, pumping and repair services for your septic tank system. One of the more difficult aspects of owning a septic tank system is that it is not always simple to diagnose or spot an issue on your own. The majority of septic problems tend to occur below the surface, and without the proper tools and know-how, you could end up wasting a lot of time and still end up with no answers. 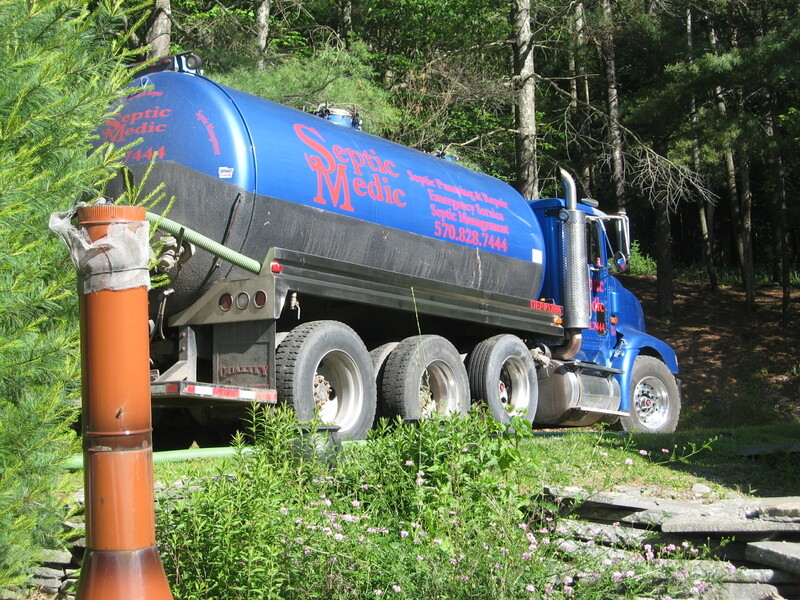 So what exactly can you do when it comes to an emergency that requires septic tank service? Let’s take a look at one of the more common alternatives to septic drain fields in the region: the turkey mound. The turkey mound, an elevated sand mound, is a better choice for individuals who cannot risk a traditional drain or leach field due to either higher water tables in the region, or soils of differing extremes, such as too permeable or not permeable enough. The elevated sand mounds are built up from the septic tank and dosing chamber at various depths; and these depths are then determined by the particular layers of the soil and may change based on an individual’s particular property. The dosing chamber is what releases the effluent into the mound, and this is done in doses, not all at once. In this manner, it helps to distribute waste efficiently. However, as in the case with every septic tank or system design, there may come a time where you end up with a clogged drain, or experience septic mound system problems. What do you do then and how can you diagnose the problem? For example, what if the elevated sand mound is unable to hold water? 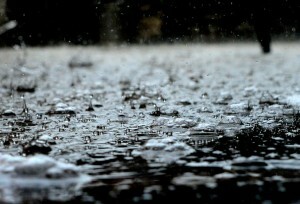 This is usually caused by heavy rains, which can back up the entire system. At other times, the sand mound can become clogged with sludge or grease. 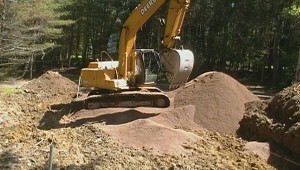 In this particular instance, the portion of the mound that has been clogged needs to be removed and the sand scarified. The sand mound then will need to be replaced to the original levels. This requires the expertise of a knowledgeable septic service; Septic Medic is here to meet all of your elevated sand mound needs in Pike County PA and the surrounding areas, including Bushkill, PA and Milford, PA. Whether you’re running a mound system or a traditional septic tank setup, emergency situations can happen at any time – we are here to provide instantaneous service, so call 570-828-7444 or contact us online the moment you discover a problem with your septic tank system! Keep Your Septic Tank Healthy with Regular Maintenance! Utilizing a septic system for your day-to-day activities is something that hundreds of thousands of home and property owners face on a regular basis. 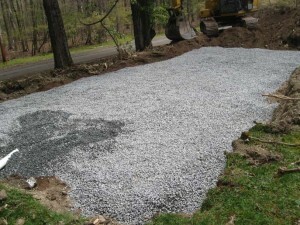 Septic systems offer a great and reasonable method for those who are unable to connect to a public sewer system, or for those who are too far removed from public utilities for it to be considered reasonable. That being said, a septic system still requires consistent maintenance to keep it working in top condition. There are some differences that set it apart from traditional public sewer systems, which can mean a bit of a learning curve if one is purchasing a home that relies on a septic tank. Everyone should learn what maintenance is required to keep your tank healthy and trouble free, as this will help you avoid any serious issues down the road! For instance, consider what happens when you don’t change your oil at the recommended mileage for your personal vehicle; failing to perform routine maintenance can often cause further issues down the line, and this ultimately means spending more money. The same concept should be applied to your septic tank system: a healthy and happy septic tank likely means years free of serious issues! Scheduling regular cleaning and staying up to date on maintenance of the system also means you will help do your part for the environment. At times, septic system backups can mean human waste products spreading into the immediate region, and sometimes even spreading into local water sources. Ultimately, not taking care of your system can lead to a mess! 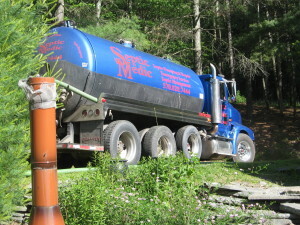 A local septic cleaning company can perform all the necessary due-diligence that goes into a running a tank to a home. This includes measuring the layers of scum and sludge that has built up, as well as checking how absorbent the drain field is.